Bevor Deadpool weltweit überhaupt in den Kinos läuft, wird bereits fleißig an einem Sequel gearbeitet. Diesmal soll der gnadenlose Cable den Bösewicht mimen. Während Kinogänger in aller Welt eifrig den Kinostart von Deadpool herbeisehnen, stecken die Verantwortlichen von Fox bereits die Köpfe zusammen, um über das Sequel zur wohl ungewöhnlichsten Comicverfilmung der letzten Jahre zu beratschlagen. Das geht aus einem Bericht des Hollywood Reporter hervor, der sich auf Insider beruft. Denen zufolge wird an Deadpool 2 bereits gearbeitet. Die wenigen Glücklichen, die den großmäuligen Söldner bereits vor dem offiziellen Start sehen durften, zeigten sich fast ausnahmslos begeistert, weshalb man bei Fox mit einem splendiden Einspielergebnis von mehr als 65 Millionen US-Dollar allein am ersten Wochenende rechnet. Nicht übel für einen patzigen Antihelden, der ursprünglich derart in die Nische gedrängt wurde, dass ihm ein eigener Film lange Zeit verwehrt blieb. Es sieht auch ganz so aus, als ob Fox den kybernetisch aufgemotzten Muskelprotz Cable im Sequel gegen Deadpool antreten lassen will. Zumindest sprach Produzent Simon Kinberg in der Vergangenheit mit Slashfilm darüber, Cable unbedingt für einen weiteren Film mit ins Boot zu hieven. Das wirft natürlich die Frage auf, ob damit auch die Möglichkeit eines Spin-offs über die berüchtigte X-Force besteht, der sowohl Deadpool als auch Cable zeitweilig angehörten. Ryan Reynolds hatte ja bereits bestätigt, dass so ein Projekt für ihn persönlich eine besondere Stellung einnimmt. 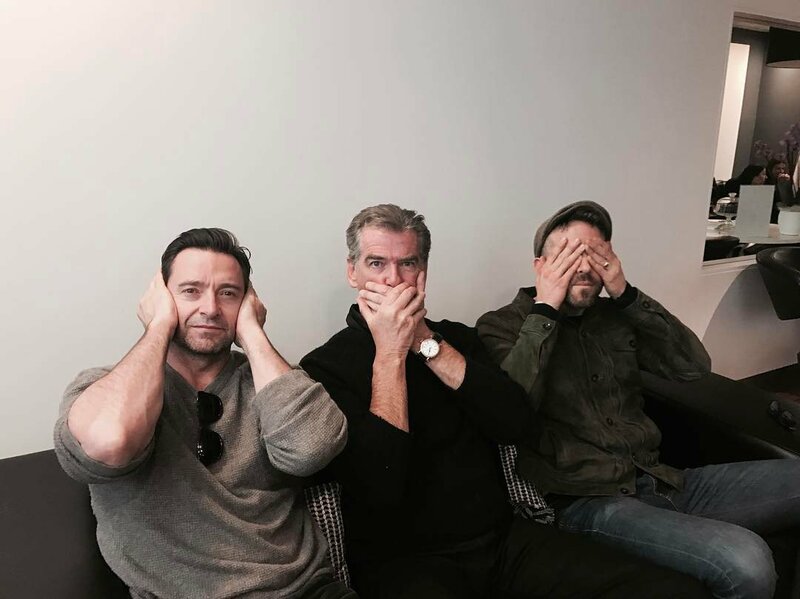 Da mit Archangel, Colossus, Nightcrawler, Psylocke und Wolverine auch schon weitere X-Force-Mitglieder entweder bereits in den bisherigen X-Men-Filmen vorgestellt wurden oder im baldigen X-Men: Apocalypse eingeführt werden, wäre die X-Force damit vollzählig. Was das Deadpool-Sequel anbelangt, sollen Rhett Reese und Paul Wernick bereits fleißig am Drehbuch arbeiten. Sicherlich wird sich auch Reynolds die Gelegenheit nicht entgehen lassen, wieder unter die rote Maske zu schlüpfen. Ob Regisseur Tim Miller ebenfalls an der Fortsetzung mitwirken wird, ist zu diesem Zeitpunkt noch nicht bekannt. In der After Credit Scene verrät Deadpool ja selbst schon, dass im nächsten Teil Cable drin sein wird! Stephen Lang soll als Cable geplant sein! Obwohl ich Cable jetzt erst aus dem Link von Markus kenne, finde ich gleich: das passt irgendwie! Wieso Cable? Der ist in den Comics doch Deadpools Partner. Es gab sogar ne komplette Deadpool & Cable Comicerie. Cable ist ein Langweiler ! Wer richtig hinhoert weiss auch, dass er nicht als Boesewicht angekuendigt wurde. Soweit ich weiss, war nur die Sprache von "we'll have Cable in the Sequel". Das wird von Moviepilot nicht so ganz richtig widergegeben, oder? Tim Miller ist raus, "kreative Differenzen" mit Reynolds..
Today, news hit the web that Deadpool director Tim Miller, and Deadpool actor, Ryan Reynolds, were experiencing a creative conflict, that caused the former to exit the upcoming super hero sequel. In a new article from our very own Umberto Gonzalez at The Wrap, he goes into more detail on some of the behind-the-scenes troubles that lead to this unfortunate split. It sounds like most of the trouble surrounding this controversy came from both men’s differing ideals for the direction of the impending sequel. So it sounds as if the split maybe wasn’t quite so clean after all. This is truly sad news for the millions of people that were floored with both the quality of humor, and the overall quality of the original film itself. Which is undeniably due to these two men working together. The article goes on to say that the renegotiation process for Reynolds’ contract took much longer that Mr. Miller was expecting, and that Reynolds was also given creative and casting control that he had not previously had. There was also tension building around the fact that Miller wanted a more stylized and cinematic sequel, while Reynolds wanted to stick with the same foul comedy approach that the first one was praised on. Whether this decision was the right one to run with will remain to be seen with the eventual sequel. There was also a matter of a specific casting issue, that brought the divide to its boiling point. So it sounds as if these creative differences were a little more complicated than we previously assumed. I for one actually think Miller would have been an intriguing choice for the character of Cable, as he is a very talented individual, but Reynolds sheer charisma as this character is what brought audiences (and their money) in by the truck loads, so it makes sense that he’s the one steering the sequels ship. Hopefully the studio will find a new director soon, and with any luck, one that is used to the kind of brutal action, comedy spectacle that worked so well with the first Deadpool. Hmmm, eigentlich schade. Aber die kriegen dass schon irgendwie hin. Schade, aber wenn Reynolds da noch immer voller Herzblut drin ist, mache ich mir keine Sorgen! We had heard he was on 20th Century Fox and Ryan Reynolds' radar, and now it's being reported that David Leitch has indeed landed the Deadpool 2 directing gig in Tim Miller's absence. Click on for more. Following the recent rumors, THR has made it official: director/actor/stuntman David Leitch will helm Deadpool 2 for 20th Century Fox. 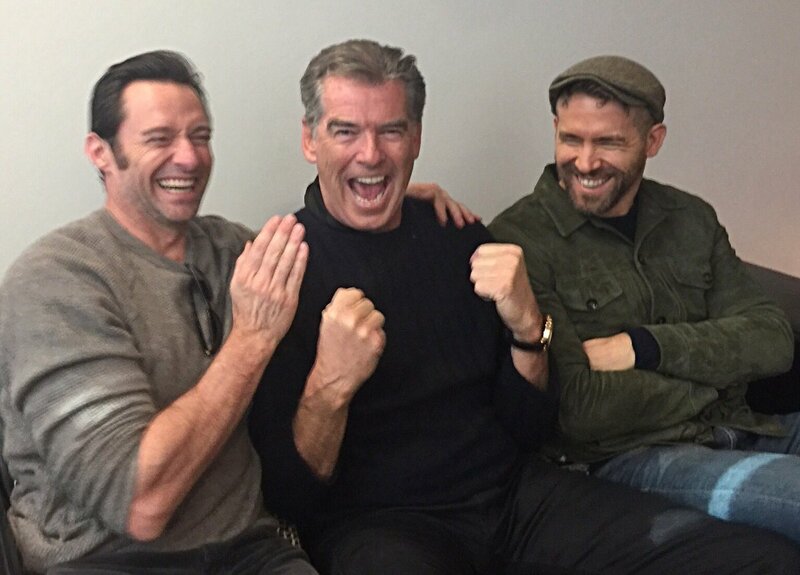 When original director Tim Miller departed the project over creative differences with star Ryan Reynolds the search was on to find a replacement as quickly as possible, and though Leitch's name was brought up, he wasn't the only possibility. Apparently Rupert Sanders, Drew Goddard and Magnus Martens were also on Fox and Reynolds' "to-meet list." The site also mentions that the studio are already looking for another filmmaker to tackle Deadpool 3. Leitch recently wrapped his second feature, The Coldest City, and also directed instant action classic, John Wick. Deadpool’s favorite album might be Wham!‘s “Make it Big,” but “Don’t Make It Bigger” is apparently the creative challenge for the upcoming Deadpool 2. Speaking with EW, leading man Ryan Reynolds and producer Simon Kinberg offer an update on the Marvel Comics adaptation and explain how the temptation to boost the size of Deadpool 2 could be a choice that ultimately leads to diminishing returns. The article also confirms that a search is still underway for actors to play both Cable and Domino in Deadpool 2. “We’re just in the development stage but we’re about to move into production,” says Reynolds, who also sings the praises of the first film’s director, Tim Miller. Miller (and composer Junkie XL) departed Deadpool 2 earlier this year, citing creative differences. Now helming the sequel is John Wick‘s David Leitch. Screenwriters Rhett Reese and Paul Wernick, “the real heroes here” who penned the first film, are returning for Deadpool 2. Reynolds is again serving as a producer on Deadpool 2 alongside X-Men franchise caretakers Simon Kinberg and Lauren Shuler Donner. Sehr coole news. Das insgesamte Filmprojekt Deadpool wird mir immer sympathischer. Superhelden movies für unter 40 Millionen könnten ein neuer Trend werden. DP hat R-Ratings für Comicverfilumgen wieder interessant gemacht, warum nicht auch kleinere Budgets. Teil 2 wird sehr erfolgreich werden, auch mit den gleichen kosten wie für teil 1. Cool. Ich begrüsse das auch absolut. Ob das was zu bedeuten hat...? Der Teaser ist schon mal großartig! Muhahaha, der geilste Trailer der letzten Zeit. Ich hab fast schon Tränen in den Augen. Herrlich. ... Den Pinsel schön abschütteln.